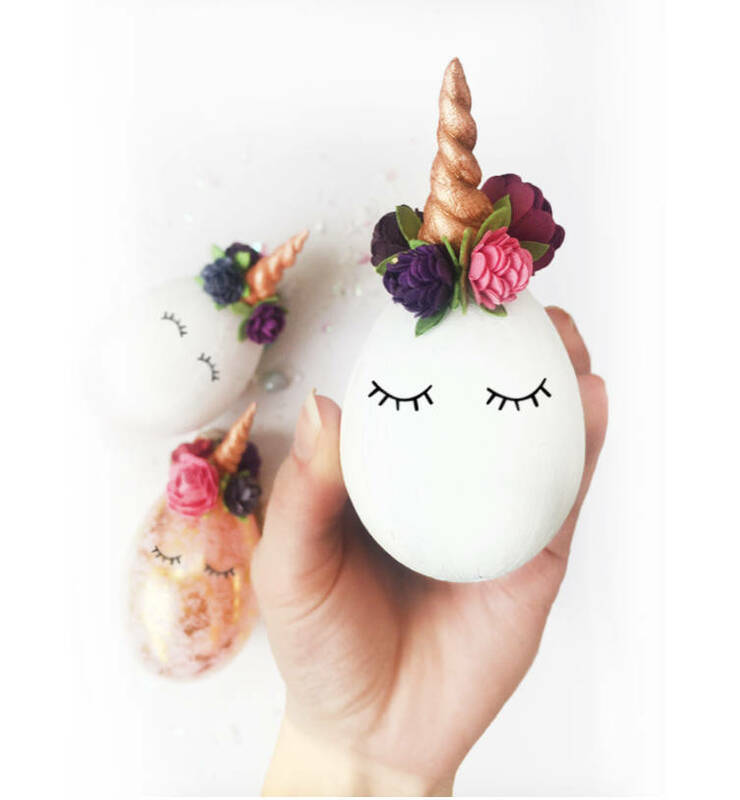 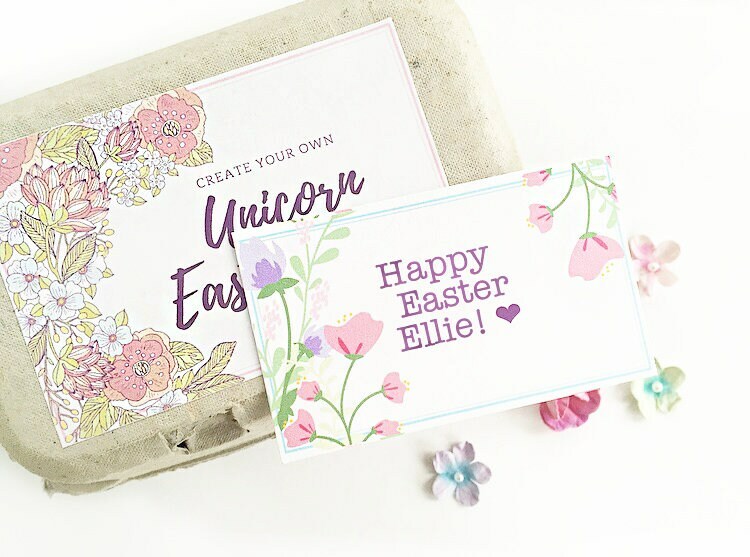 This kit contains everything you need to create your own unicorn-themed eggs! 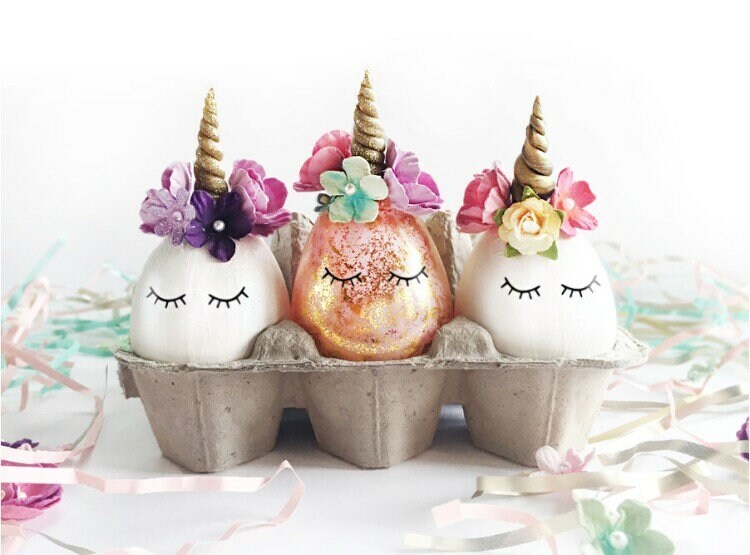 Each kit includes materials to decorate 3 eggs. 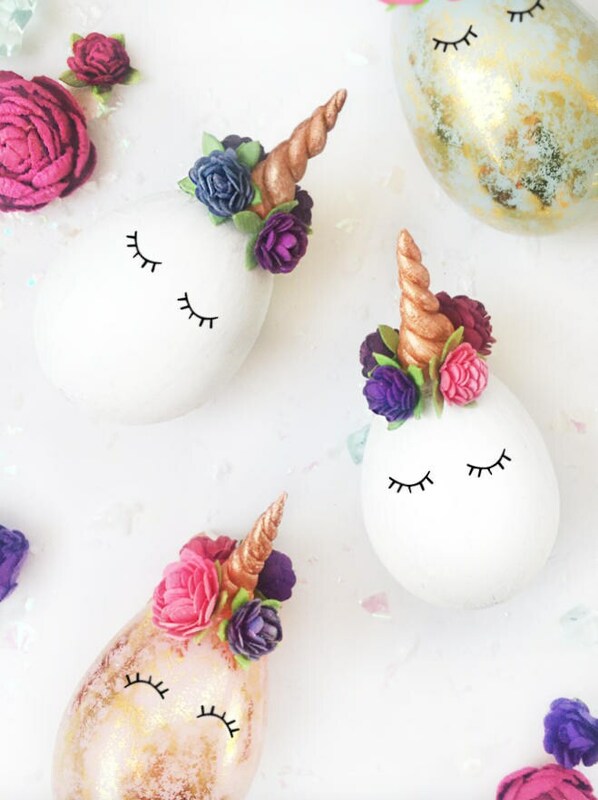 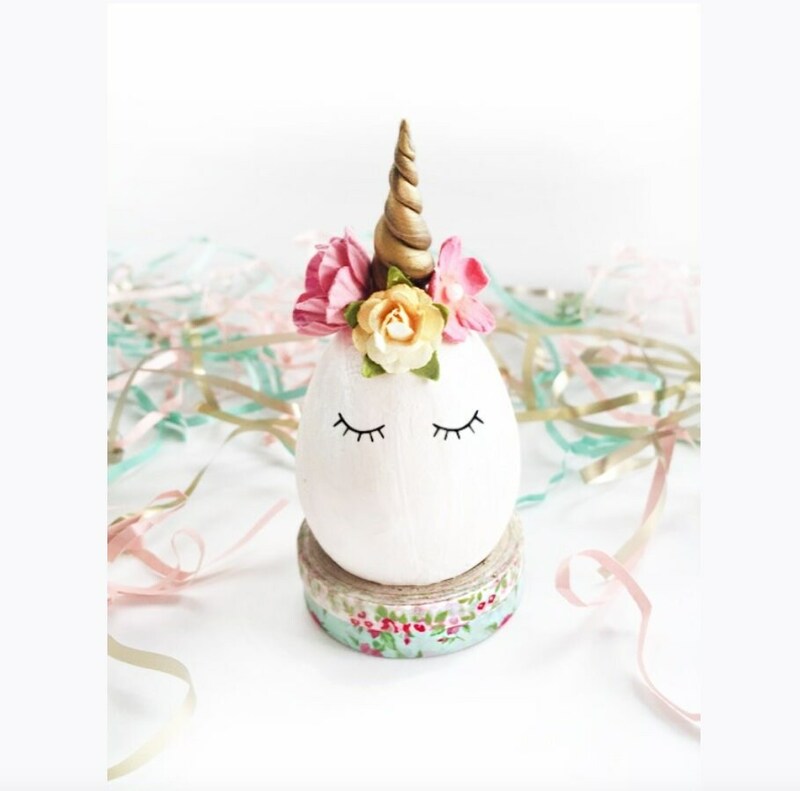 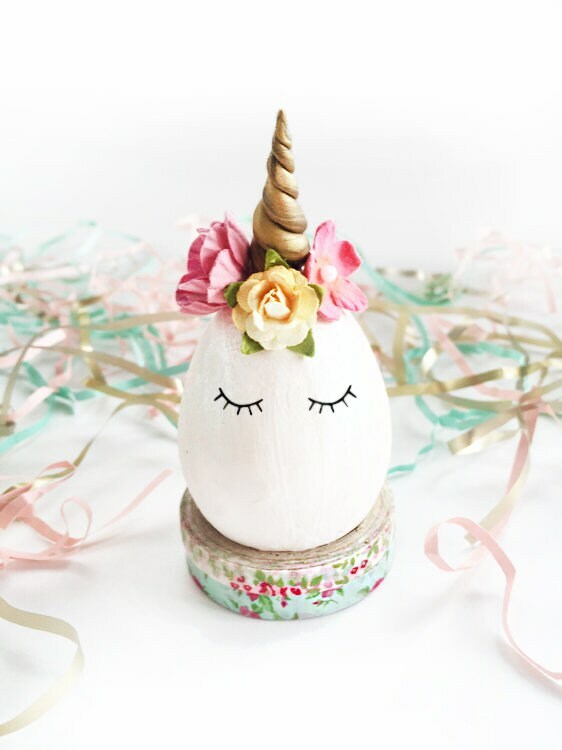 -Your choice of eggs- choose from white paper mache, plastic metallic pastels, or choose "no eggs" and use the materials to decorate eggs of your own! 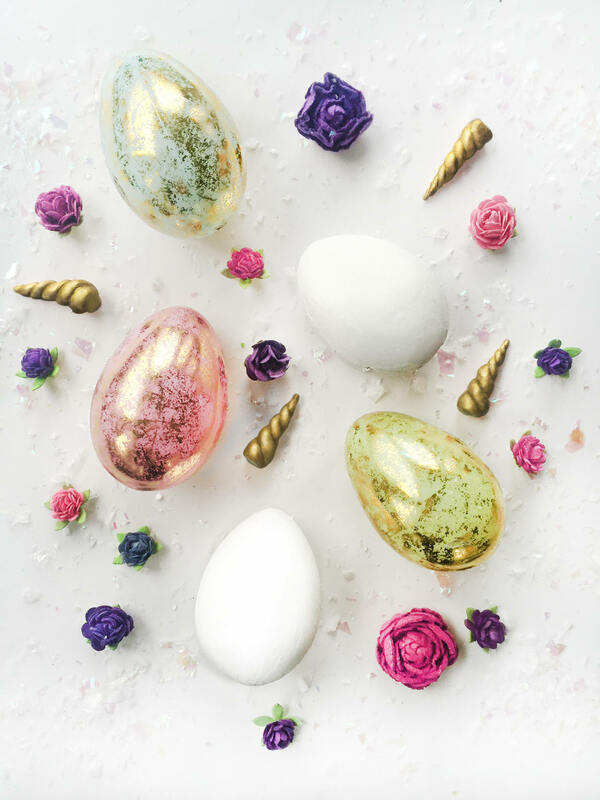 Materials can be used on real eggs.